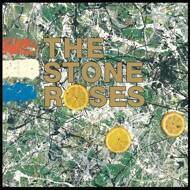 Some albums hold the blueprint for something bigger than can be contained on twelve inches of vinyl; the self-titled debut album by The Stone Roses is one of them. Despite clocking in at less than fifty minutes long, it’s a record that shaped the next two-and-a-half decades of British music. Released in 1989, The Stone Roses was a fusion of rock music and the nascent rave scene in the group’s native Manchester. For a period of a few years, the industrial English city that gave us Joy Division, The Fall, and The Smiths was home to a drug-fuelled, club-based scene that earned the town a new nickname–Madchester. Falling squarely in that point of transition, The Stone Roses created guitar music that made people dance, fostering the baggy scene that paved the way to Britpop and Manchester’s next mega band, Oasis. The Stone Roses were the full package: they had the tough demeanor and insular mentality of any group of friends from a rugged city, they had a unique look comprised of bucket hats, Adidas sportswear, baggy jeans, and oversized T-shirts, and they talked a mean fight in interviews. But musically they were groaning with talent–Gary ‘Mani’ Mounfied (bass) and Alan ‘Reni’ Wren (drums) made complex rhythms seem effortless, guitarist John Squire could give his beloved Jimmy Page a run for his money, and frontman Ian Brown balanced punk sensibility and hippy mentality. In the UK, the album is the stuff of legend, its cover still seen on T-shirts in any given gig venue. Around the world, its influence was less tangible, most likely due to the fact that the group was hamstrung by a legal wrangle with the Silvertone label following the album’s release. Musically, it’s a mix of the grandiose and the intimate, containing songs so forceful and emotive they’ve become terrace anthems (“This Is The One” is Manchester United’s walk-on music) alongside introspective tracks like the anti-monarchy madrigal "Elizabeth My Dear.” In “Waterfall,” there are cascading guitar lines that describe its title like musical onomatopoeia, and in “Made Of Stone” and “She Bangs The Drum,” there are perfect pop songs too. Most significantly, there are songs in which the band etch their own myth in earth-rumbling basslines and grandiose statements: “I Wanna Be Adored,” which opens the album, and “I Am The Resurrection,” which closes. Reissued on Light In The Attic on deluxe double-vinyl, this is your chance to discover the album for the first time or to own it in its most beautiful presentation yet.